The highly anticipated third studio album from Ladi6 has been released with much appreciation across the globe. The very successful New Zealander dropped Automatic in August, this time, joined by Parks and Julien Dyne, who have become part of the broader Ladi6 team. Produced in Detroit by Waajeed, Automatic encompasses modern hip hop, smooth grooves, super-sonic synths and strong, distinct vocals unlike any other. The Intro crafts a soft build, followed by the single release Ikarus, a perfectly positioned track, as it sets the vibe for the rest of the album, taking listeners on an effortless and uncomplicated journey. Also serving as a single is the gorgeous Shine On, which touches on the appreciation and eternal devotion to a lover. The stand out track would have to be Diamonds. Placed halfway through the album, it is definitely the most upbeat song, despite being about living a jobless and penniless life. The song represents the struggle of unemployment and dreams about what life could bring with the possession of money. Ladi6 recruits the help of Tyra Hammond, as well as her cousin Scribe to create the slick Ready To Fly. Listeners will lose themselves in the soft harmonies that echo throughout the song. Further to this, she takes advantage of local talent in the state of Michigan, where she recorded the album. These collaborations include MC Invincible on the grimy Slow Ride, the only song with an isolated rap by Ladi6 herself, and the artistic LO5 on Burnin’, a track with soft yet effective synths, creating a lovely blend with her husky vocals. 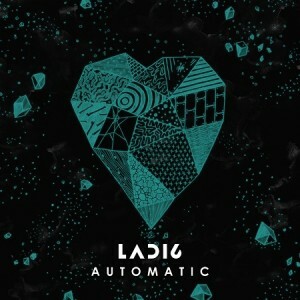 Automatic is the must-have Spring/Summer album of 2013. Lyrically empowering and hopeful, and a sound so diverse and genre-defying, Ladi6 has delivered an absolute masterpiece that will certainly send a rhythmic buzz around the world.